There are many reasons why parents may consider distributing their inheritance unevenly among their children. One of them might have a much higher income, or a larger family. Or perhaps the daughter took care of the ill parents while the son only showed up for Christmas (or vice versa). An IZA Discussion Paper by Marco Francesconi, Robert A. Pollak and Domenico Tabasso shows that unequal bequests are much more common than generally recognized, with one third of parents with wills planning to divide their estates unequally among their children. This behavior is particularly concentrated in complex families, that is, families with stepchildren and families with genetic children with whom the parent has had no contact (e.g., children from previous marriages). The researchers use data from the Health and Retirement Study (HRS) that regularly interviews 22,000 Americans above age 50. Comparing parents who have had no contact with at least one of their genetic children with those who have had at least some contact with all of their genetic children, the authors find the no-contact parents about 25 percentage points less likely to intend equal bequests. The data also indicates that as the proportion of stepparents has risen considerably in the last twenty years, so has the fraction of parents who plan unequal bequests. Furthermore, the researchers find that many elderly Americans have not made wills. 30 percent of HRS respondents aged 70 and over have no wills. And of the HRS respondents who died between 1995 and 2010, 38 percent died intestate (i.e., without wills). 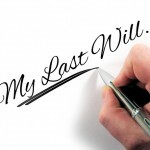 So focusing exclusively on the bequest intentions of parents who have made wills provides an incomplete and misleading picture of end-of-life transfers.